Hello! The winner of the Lawn Fawn stamp set of your choice is Shelly Kurth. The winner of my $20 gift certificate to the stamp company of your choice is Patricia Barber. Winners, contact me at alwaysctr@yahoo.com! Thank you everyone! 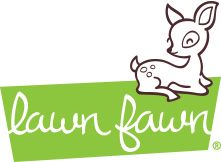 being sponsored by Lawn Fawn! One lucky commenter will get to pick out the Lawn Fawn stamp set of their choice! One lucky commenter will receive a $15 gift certificate to YNS! 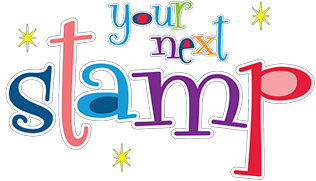 I am also offering a $20 gift certificate to the stamp company of YOUR choice to one lucky winner. There just might be more blog candy chances along the way so be sure to visit all of the LIUB Mini Blog Hoppers, leave a comment, and increase your chances of winning a fun prize! Now let me show you what I created for today's hop! I made this card using the adorable Mama Elephant stamp set "Photo Bomb". The film strip die is from Your Next Stamp. I also used the MFT Inside and Out Diagonal Stitched Rectangle Die-Namics. Well, I am SO happy you stopped by, and I do hope that you will be a champion for those that have been touched by Autism. Be sure to see the amazing cards my friends have created for today's hop! Your card is adorable! What a great sentiment! Thank you for bringing awareness to autism! Fantastic card! I love how hard you have worked to bring awareness to Autism. :) You rock! So sweet this card! I love the blue and the edge! Wicked cool choices! Love your fun Light It Up Blue card! The film strip die is awesome, and the stamps are just adorable! Sweet card...thanks for bringing awareness to this important cause. Lovely card! Thanks for bringing awareness to autism. So cute! I've not seen that film strip die before and love it! Very cute card design and I like your coloring. Veronica, Your card is just adorable. You have teamed up with some of my fav. designers and certainly two of my absolute FAVORITE stamp companies! Autism awareness is SO very important so I hope this helps to make people aware of the daily struggles involved. Such a cute photo bomb. Love the film strip die, haven't seen it before. Thanks for supporting autism awareness! So cute. I love the "photo bomb" set. LIUB! I usually don't like "people" stamps, but this card is adorable! Really cute! Love this stamp set! Those photo images are so cute! I love the striped background too! Oh my...this card and stamp is the most adorable design! I love that fun sentiment too! Thanks for continuing to support the cause! What a super fun card - I love the stamp set! This card is so darn cute! I love the filmstrip and the little photo booth stamped image so much. Thank you for your awesome support of Autism Awareness!! Adorable card! 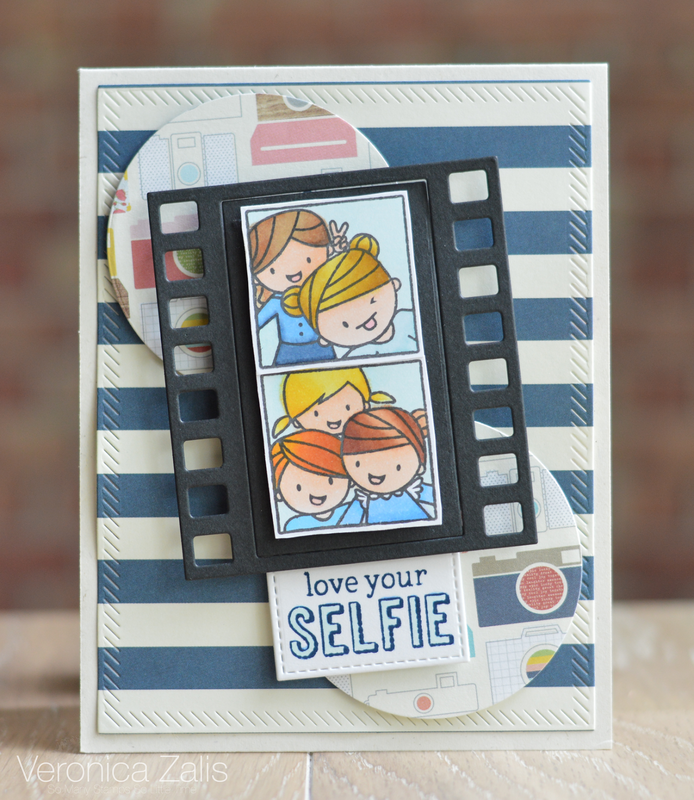 Love how you used the film strip die! Thank you for supporting Autism Awareness. Love your fabulous card, awesome layers and such a special hop! Veronica, you cannot know how much the Autism Awareness Month activities meant to my family. Our deep and heartfelt thanks to you for all you did!!! Love this sweet card with the kids and the filmstrip!!! I love the photo bomb stamp. Great message, too. Wonderful card! I love the images and the sentiment! So very wonderful!